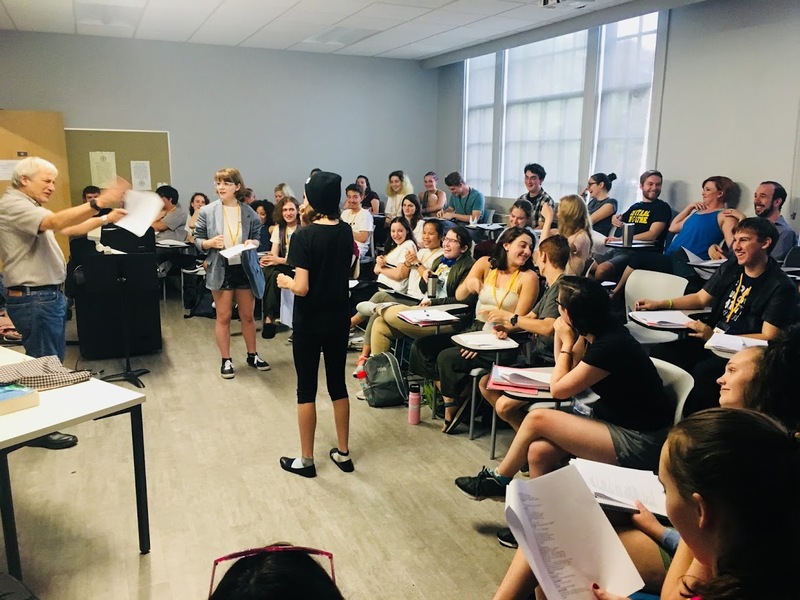 The ASC Theatre Camp hones your skills as a performer while further preparing you for the academic rigors of college life and learning… so you might as well earn college credit for it. 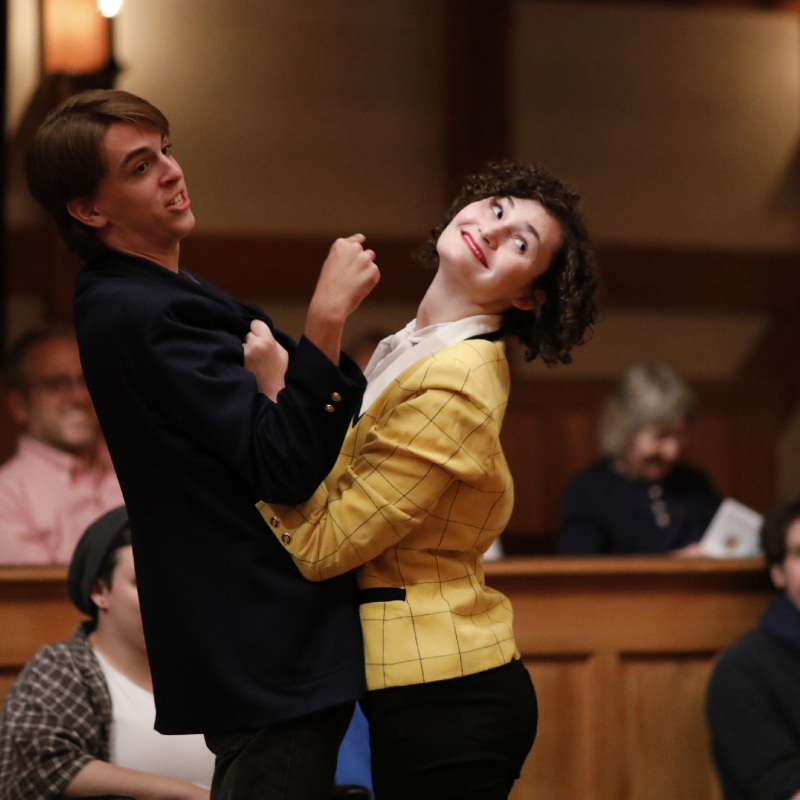 The college credit course augments and enriches the interdisciplinary approach to studying Shakespeare and classical performance participants receive at ASCTC. 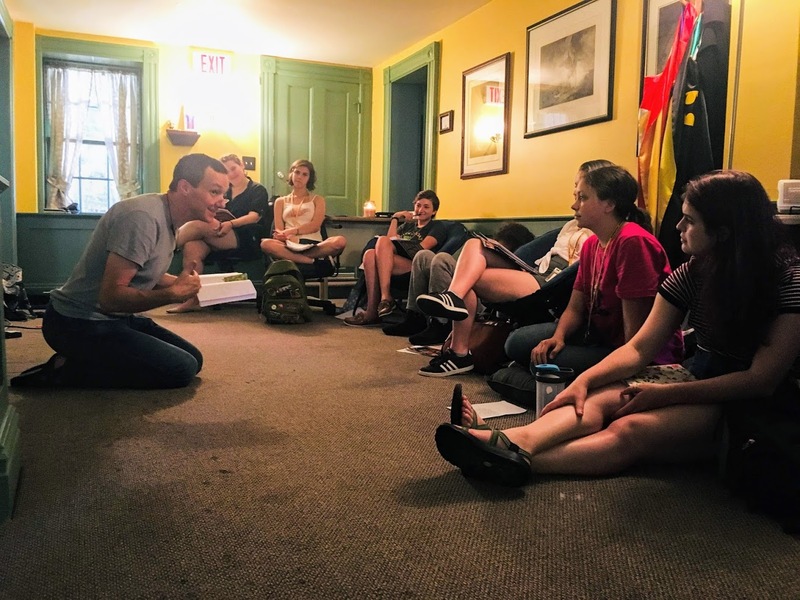 All campers attend academic lectures and performance master classes, observe the ASC acting troupes in rehearsals and performances, and rehearse an hour-long version of a play by Shakespeare or other early modern English playwright for performance in the Blackfriars Playhouse. 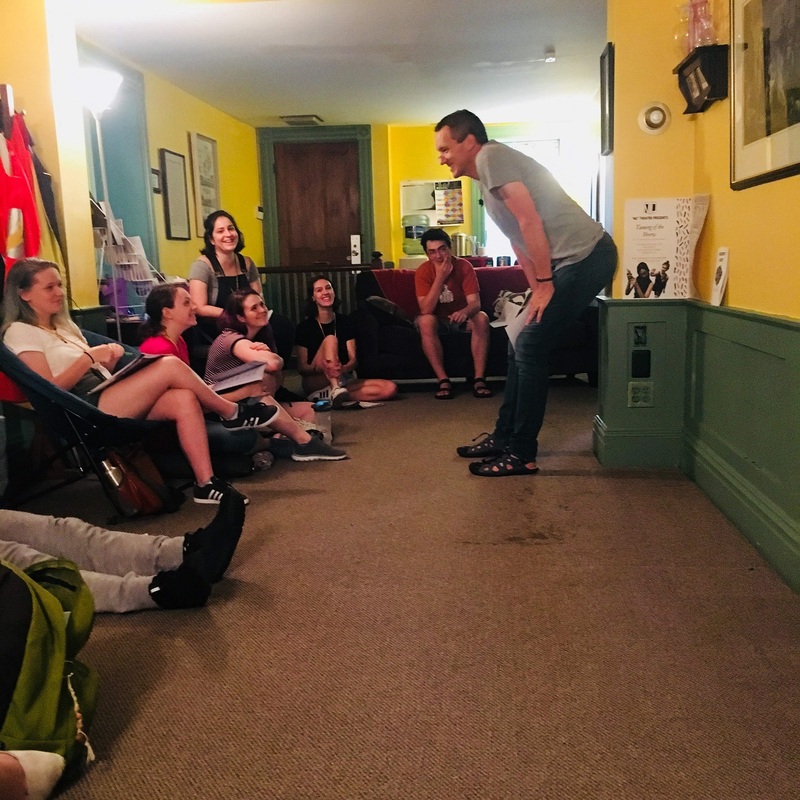 Woven through this experience is access to the American Shakespeare Center’s professional acting troupes, who serve as teachers and mentors throughout the three week program. 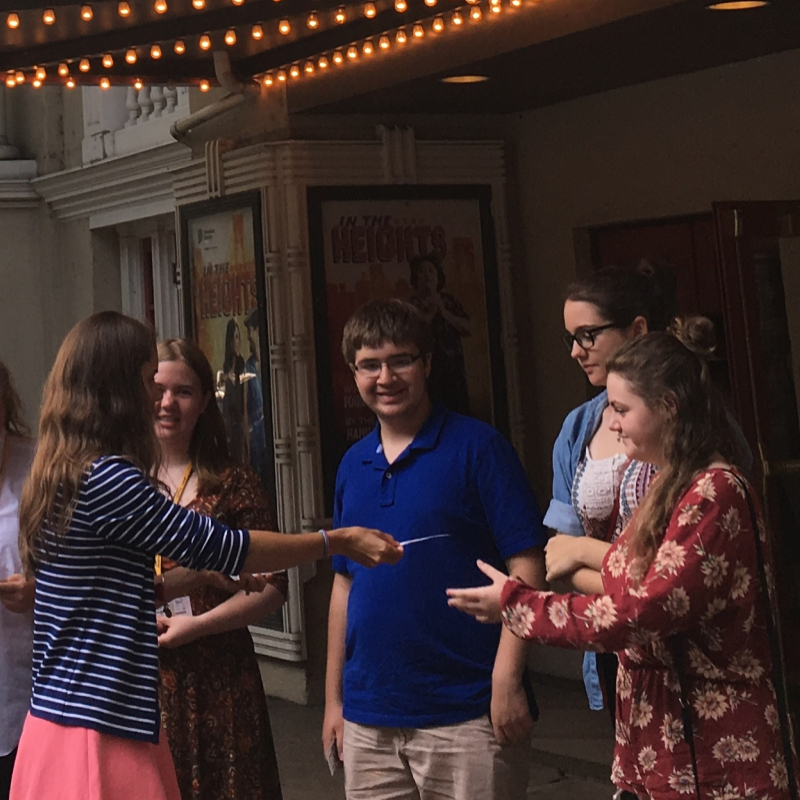 The experience culminates in the participant’s performance of their own hour-long play at the Blackfriars Playhouse before an audience of family, peers, and the ASC community. The college credit course introduces campers to the upper-level resources available in a university library. In addition to the ASCTC program outline above, those seeking college credit meet an additional two or three times per week to complete two discrete units of study: “Director Dialogues” and “Practicums.” Director Dialogues are with the session’s show directors: each director will demonstrate their particular methodologies, techniques, and tactics for preparing text for performance using a selection from their play. With the course instructor, directors will discuss how the section under examination made its way from base to performance text. By enrolling in the course, campers aim to improve their research and writing skills beyond their current level. 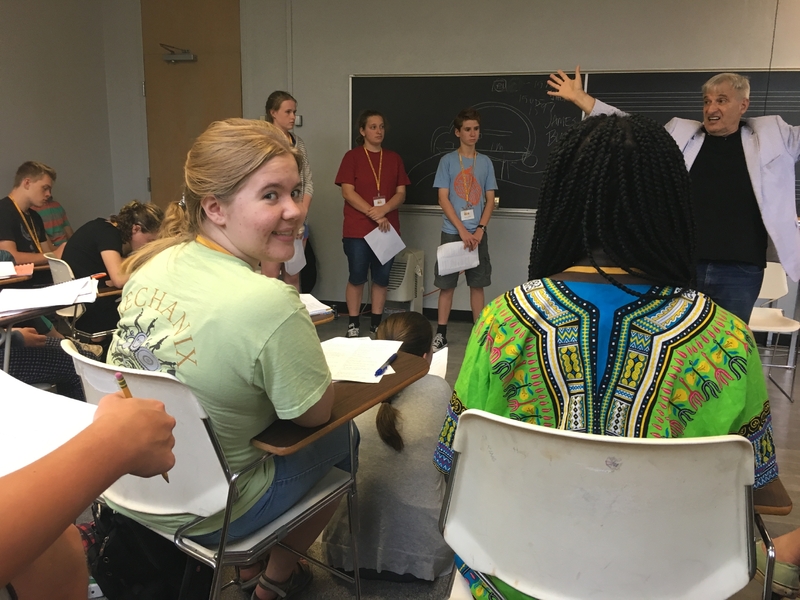 For attending the extra class sessions, doing the reading, completing in-camp assignment, and turning in a final project post-camp, campers in the course can earn up to 3 college credit hours at a discount from Mary Baldwin University, which are transferable to other institutions. Enroll in the college credit course to get a head start on your college degree. This course builds on the training participants receive throughout the ASCTC experience through the focused exploration and application of the practices employed by modern theatre practitioners in the preparation of early modern texts for performance. Specifically, this course delves into the plays of William Shakespeare and his contemporaries to examine different methodologies for cutting, rearranging, collating, or otherwise manipulating variant and various texts to create different desired narratives in performance. Participants will learn different theories of text preparation from multiple sources (including actors, academics, editors, and directors) and have multiple chances to put their own emergent theories into practice through course assignments. Session 2 college credit class campers review their cuts with ASC resident troupe member John Harrell. 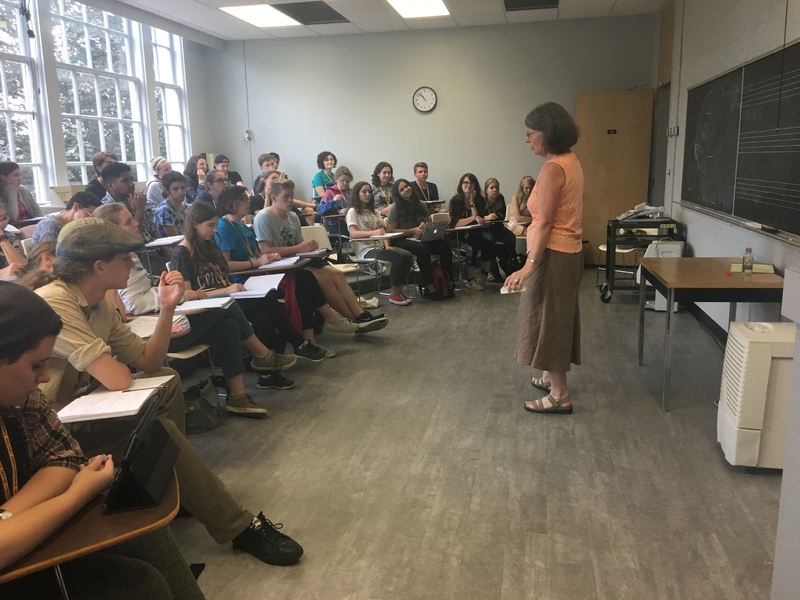 Campers attending a history lecture with Dr. Mary Hill Cole, professor at Mary Baldwin University for both undergraduates and graduate students in the graduate Shakespeare & Performance M.Litt/MFA program. Session 1 college credit class campers watch ASC resident troupe member John Harrell act out their cuts. 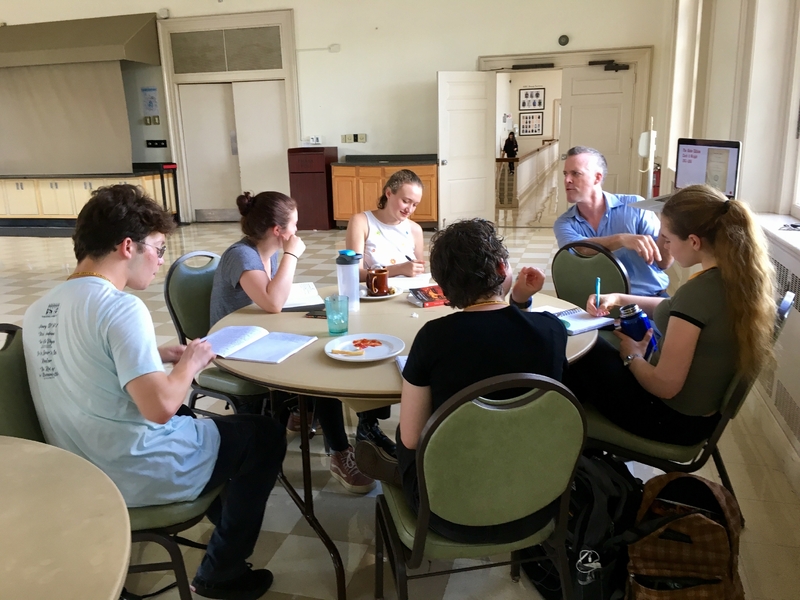 Dr. Paul Menzer, head of the Shakespeare & Performance graduate program at Mary Baldwin University, leads a seminar for the college credit class. Camper Liam Riley taking notes in his script. ASC theatre campers get "Ralphed" by ASC co-founder and Director of Mission Ralph Alan Cohen [far left]. Campers in a class with ASC Co-Founder and Director of Mission Dr. Ralph Alan Cohen. Session 2 college credit class campers work through class readings. I took the college credit course last year, can I take it again for credit this year? Yes indeed! 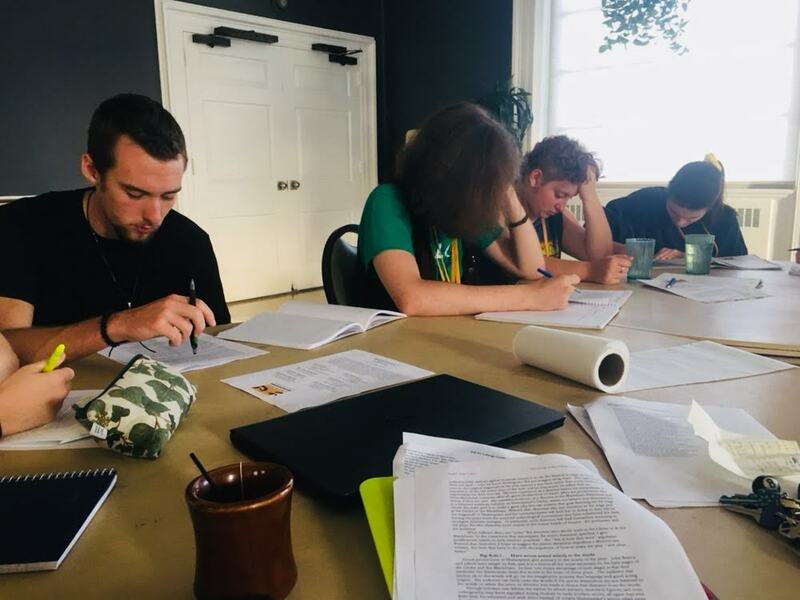 Since the plays under examination change every summer, the college credit course is able to build on its own material so that the skills you learn one year can be stretched and deepened the next. The course listing updates accordingly, so your future institution knows you’re tackling new information each summer. Are there pre-requisites for the college credit course? In a manner of speaking. You must be accepted to camp in order to be eligible for the college credit course, which means that everyone who ends up attending either session of ASCTC is qualified to enroll. How do I enroll in the college credit course? College credit course enrollment is through Mary Baldwin University’s online registration site. 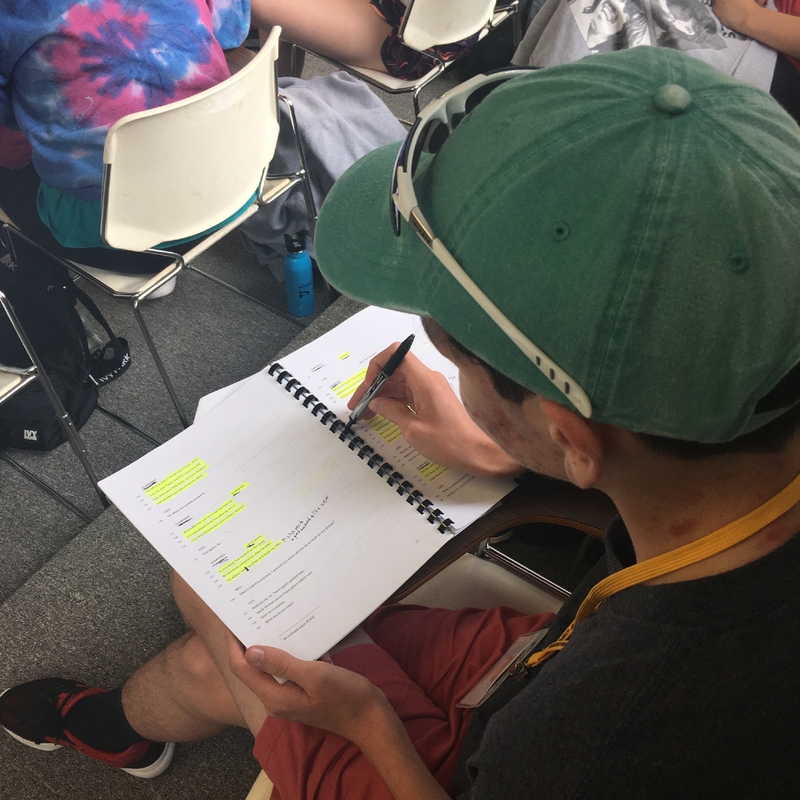 In order to enroll, you must be an accepted and registered ASC Theatre Camper (click here to apply for ASCTC 2019 if you haven’t already). Accepted and registered campers: click here to enroll in the course. How many students can enroll in the college credit course? Enrollment is capped at 10 students per session, including auditors. Enrollment is on a first-come, first-served basis until the session’s class is full (10 campers maximum per session). After registering for their session, campers may enroll at any time by filling out the Enrollment Form. If we have space remaining at the beginning of the session, campers may enroll during Orientation. How much does the college credit course cost? Mary Baldwin University gives ASC Theatre Campers a discount on regular tuition for a per-credit cost of $395. The total cost of tuition for the three-credit Companion course is $1185, which must be paid directly to Mary Baldwin University. Can I audit the college credit course? Yes, campers may audit the course if we have the space (i.e. less than 10). To audit, campers must complete all in-camp assignments and attend all course meetings. Auditing campers do not pay tuition and will not receive credit. Do I have to complete extra assignments in order to earn credit for the college credit course? Yes. The structure of the course changes year-to-year, but always has at least two assignments. College credit campers must keep a daily process journal during camp (to be periodically collected and reviewed by the Course instructor) and complete a final project after camp (the type of project varies based on the theme of the course and the needs of the student, but is usually a written assignment of 8-12 pages). 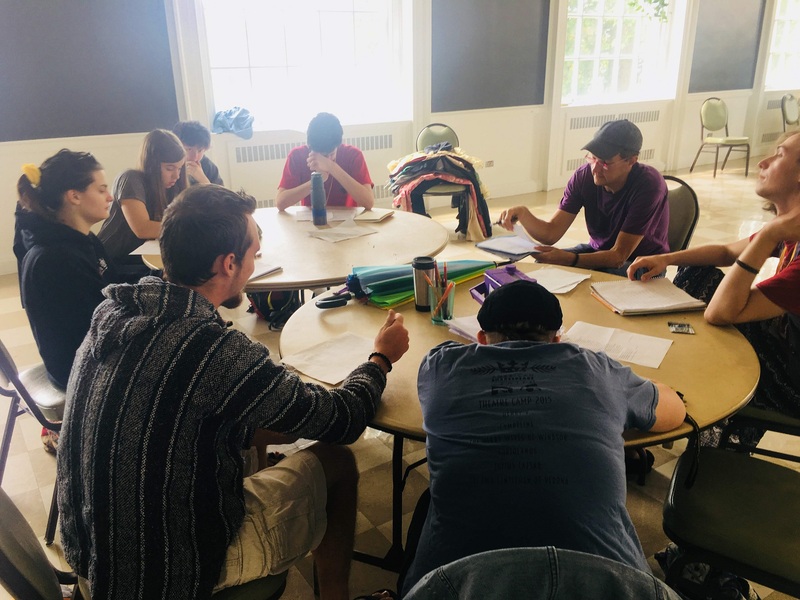 College credit campers will also be required to attend extra class sessions during some of their free time, and may have other short assignments or readings to complete in-camp. Camp is Love. Help us spread it with a donation to the Scholarship Fund. Questions about tuition payments, financial aid awards, scholarship opportunities, etc? We've got answers. Don't want to go home? Okay, don't. Extend the camp experience by registering for the Extended Experience Week.